The Foxhole demo got us a few reviews in the local Bristol press but the best thing to come out of it was getting a full time drummer and bassist. By coincidence Dave Oliver living in Folkestone, Kent had heard this demo through a friend of Jim’s and then completely independently a week later a friend of mine played him the tape. He couldn’t believe Dave had already heard it. Dave was primarily a jazz drummer with great technique and liked what he heard, decided to come to Bristol to meet us and play through some numbers. It worked out well enough to get serious about putting a full band together and for Dave to move to Bristol. About this time we found a great bass player –Pete Bray from Hanham. We started working on about 10 songs and played out first gig at Bristol Poly in late ‘87. At this point Jim and I had moved to Bristol and we were looking for some rehearsal space for the band. We had heard about a recently opened place on Kings Square called PIJ and we knew the Brilliant Corners used it. I had been friends with Dan Pacini who played trumpet with them. We struck up a good relationship with Paul Horlick (or “Fat Paul”) who ran the place and before long we were trying out his 8 track recording facility he had just installed. The result of that was a demo tape which included the songs “Go back and start again” and “Railway Track” which he immediately took down to the Thekla “Showboat” on the Bristol docks. 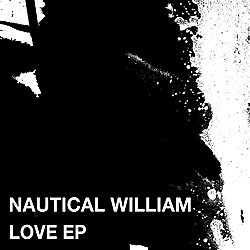 It was well received and secured several dates for Nautical William, both on the boat and at hallowed venues such as The Tropic Club in Stokes Croft, Western Star Domino Club and The Moon Club. 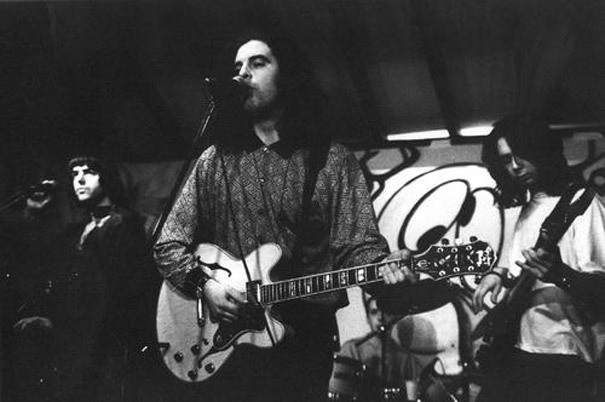 Around late 1989-1990 we were playing shows in and around Bristol with The Montgomery Clifts, The Family, Me, Rorschach, The Blue Aeroplanes and The Brilliant Corners with an annual appearance at the Ashton Court Festival. Our first live revue in Bristol & Bath’s” Venue” magazine likened us to The Smiths and being “sartorially challenged” in the clothing department. We couldn’t shake either reference for quite some time after that. This was also the time we saw the rise of The Legendary Moonflowers which we partnered with on a number of projects including Fat Paul’s “Groovy Sidewalk” venture.. Jim took many of their promotional photographs and videos. By this time we had a good local following, and management –Tim Allen, based in Bath, but despite our best efforts we had not secured a recording contract. My brother Corin had joined the lineup on percussion, adding to our developing sound and on the back of a 3 track demo recording “Love House”, “Backbreaking” and “Splutter”, recorded at The White House in Weston-Super-Mare (16 track) in the Spring of 1990 we were in a position to put out our first single . This was very much the period of the independent label and independent distribution and so we made arrangements with the Revolver group in Bristol and setup a label “Mojo Filter”. Our first single “Love”(12”) was recorded at Loco Studios, South Wales (the A side) and two songs at PIJ, Bristol (B side), now 16 track with Fat Paul. The producer for all the songs was John Parish of Automatic Delamini and Polly (PJ) Harvey fame. In fact Polly nearly sang vocals for us on the crazy “60’s pastiche run-out on “Love”. We liked John’s work on the Brilliant Corners records and he was able to pull out a great crunchy, ambient sound for us. We pressed up about 1500 copies of the 12 inch and made a video in an empty studio at HTV West one weekend. The Love EP gave us the opportunity to travel further afield and we began to book dates in venues such as The Powerhouse and Mean Fiddler in London, Princess Charlotte in Leicester, Jericho Tavern, Oxford and Hope Street in Liverpool. 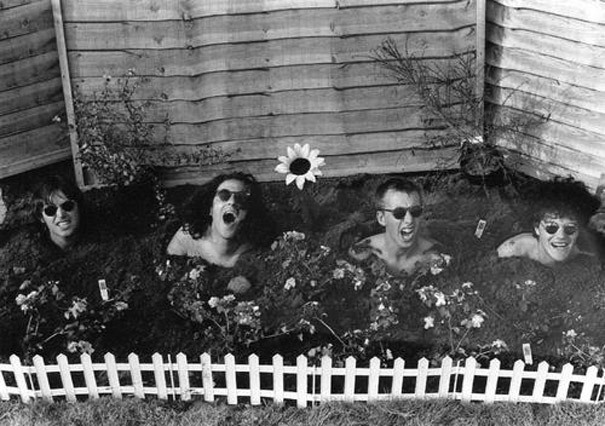 Around the end of 1990 we were contacted by Jessica Corcoran who had been working with Ned’s Atomic Dustbin and the Senseless Things with interest to work with us in the studio. From our current set list and demo tapes she picked “Love House” and “14 Days in May” for the next single and we returned to Loco in South Wales to record both songs. Everyone was really pleased with the results and early feedback was encouraging. BBC Radio One wanted to put it on rotation and we got a slot on “Round Table” with Mike Read. Guests that day included Beverly Craven (thumbs down) and Dr Robert (Blow Monkeys, thumbs up). We managed to put a budget video together filmed mostly on 8mm in a tiny studio in Crouch End, London. Released in May 1991, accompanied with national day time radio play, the odd spin on the John Peel show, an MTV120 Minutes appearance it looked like things were set. I recall that we had just got back from a 10 day tour of Holland including Amsterdam (where we met up with Rorschach), Utrecht and Rotterdam when we started hearing there were problems with distribution of the Love House CD and record in certain parts of the UK. Our agents in London were furious. Together with Tim they had booked us support slots with Suede and Pulp in London and a decent tour of the UK supporting Airhead. On top of that Pete had decided to quit the band (actually in-between finishing Love House and recording the video) so we were bringing Ian Maclaren up to speed who had auditioned for us at a moment’s notice. Ian had been playing in bands around the Gloucester area and was a great bass player and guitarist. Through all this we narrowly missed a chance to sign with A&M records. For a while we were in a shambles not quite knowing what to do. We were messing around with ideas at PIJ and still playing the occasional gig. One show was supporting The Primitives in London where we met up with George Shilling who had produced a number of the tracks for Airhead’s album “Boing” and The Soup Dragon’s “I’m Free” mega-hit. A talented musician in his own right he suggested working with us in the studio and producing some new recordings. I can’t remember quite how but we ended up in Black Barn studios, South West of London (now owned by Paul Weller). We worked on four numbers with George which were all triumphs in production –“Roller Coast Ride”, “Fight On”, “What Do You Know” and “Funk It Out”. Funk It Out was a bit of a pastiche, tongue in cheek number which eventually took the band in a new direction funnily enough. All was not good though, my voice was shot and Corin and Dave decided to leave Nautical William at the end of the session to work on their own project. Corin would later form Alpha with Andy Jenks out of Statik Sound System and be signed to Massive Attack’s Melancholic label. Recovery of my larynx took longer than expected and delayed putting the final vocal tracks down which eventually happened at The Coach House back in Bristol late in 1992. We held some hilarious auditions for a new drummer and moved to larger rehearsal space at Mr. Grins in Bedminster, Bristol. John Miller joined us from London to play drums together with Trevor Shilling on percussion who had been working with many different bands in Bristol including The Federation. With the addition of Diane Green on vocals we started to work on quite a new sound and technique. It was challenging but very enjoyable because it took us out of our comfort zone. Jim started to migrate to keyboards –Rhodes piano and Clavinet and we were surrounded by exciting new influences brought in by our new backline. Rollercoast Ride and Fight On would have made great follow-ups to Love House but the Black Barn tapes were never released. Instead we had a new lineup and accelerating in a new direction, driven by syncopation and ever changing time signatures. For a while we became obsessed with The Average White Band. The sound was so different that we debated whether we should drop the name “Nautical William” but nevertheless we ended up recording an EP entitled “Tubular Bellbottoms”, intended as a club release. We recorded this at Moles Studio in Bath with long time friend and sound engineer Nick Batt from DNA. The release of this secured us shows at places like Camden Lock and the Jazz Café in London. The set comprised of some tracks from the EP such as “Mmmm” and “Funk Pond” together with others including a cover of “Come Together” by The Beatles. It was exciting times again and we went to Europe accompanied by “Professor Baysse”, our resident DJ. 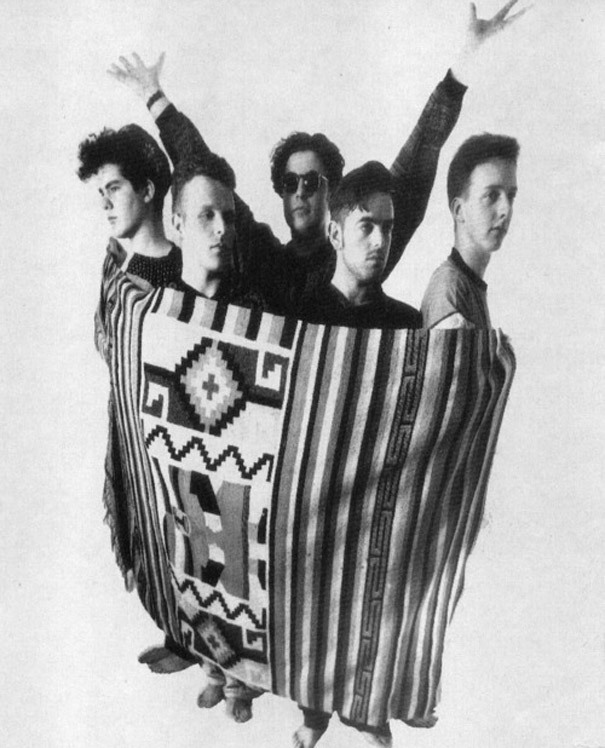 This was shortly followed with regular support slots with Mother Earth and Corduroy back in the UK –both bands signed to the Acid Jazz label in London. In Bristol we wondered how this change might be received but we through a huge party on the Thekla and played a crazy night with all kinds of guests. It was a great success and helped us reconnect. We signed with a new agency based in Manchester who were great at putting live dates together. At this point playing live was an intense affair aided by the profusion of Ecstasy circulating in the audience. One particular date at Liverpool University during the summer of ’93 stands out in my mind. We did a round of festivals up and down the country which were great fun, including shows with Gil Scott Heron at The New Trinity in Bristol. At the same time we were in the van way too much and tempers began to flare. The touring also took a toll on our writing opportunities. Jim and I weren’t great at writing on the road -unlike some other famous partnerships… In the end things just started to unravel and we played our last show in Plymouth towards the end of 1993. I’m now living in the States but Jim is still local to the Bristol area and is back in the studio. I’ve bumped into Ian on a couple of occasions, touring in the US with his band Sunna and John Parish with PJ Harvey. Keep the music coming! Our first single “Love”(12”) was recorded at Loco Studios, South Wales (the A side) and two songs at PIJ, Bristol (B side), now 16 track with Fat Paul. The producer for all the songs was John Parish of Automatic Delamini and Polly (PJ) Harvey fame. In fact Polly nearly sang vocals for us on the crazy “60’s pastiche run-out on “Love”. We liked John’s work on the Brilliant Corners records and he was able to pull out a great crunchy, ambient sound for us. We pressed up about 1500 copies of the 12 inch and made a video in an empty studio at HTV West one weekend. The Love EP gave us the opportunity to travel further afield and we began to book dates in venues such as The Powerhouse and Mean Fiddler in London, Princess Charlotte in Leicester, Jericho Tavern, Oxford and Hope Street in Liverpool.